Anthony Bruno grew up in Elk Grove Village, a small town outside of Chicago. His need to make music led to him starting his first band, Bad Timing, at age 13. 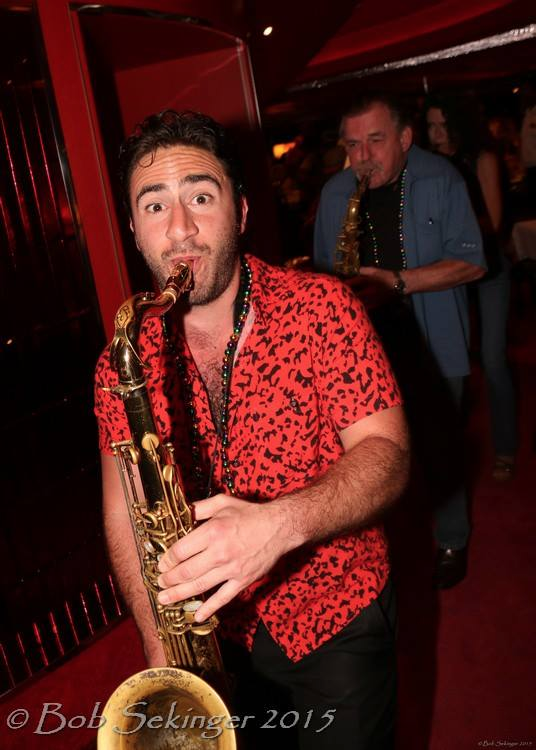 In it, he sang lead vocals and played sax. He was involved in a series of local jazz, pop punk, and ska bands though out his high school years playing saxophone, drums, and vocals. These experiences, as well as his formal training in school, set him up for the career he would later embark on. At 18, he moved to Chicago to attend DePaul University. There, he studied music education and played in the DePaul University Jazz Ensemble under the direction of Dr. Bob Lark. He studied with Mark Colby, Larry Novak, Bob Palmieri, Bobby Broom, and Tom Matta. DePaul was helpful in many ways, but most importantly offered excellent connections. While at DePaul he was immersed in Chicago’s vast scene of working musicians. Here he honed skills at playing a wide variety of music styles. After graduating with a B.M. in Music Education, Anthony began playing and teaching music throughout the city. He has gained a reputation as an outstanding saxman as well as a fine doubler on clarinet and flute. He has played with famous names such as R. Kelly, The Temptations, The Four Tops, Mary Wilson of the Supremes, Wynton Marsalis, Gerald Clayton, Doc Severinsen, the Milwaukee Symphony Orchestra, Bobby Watson, Sean Jones, and Phil Woods. He has also performed in two Universal Pictures Movies, “Public Enemies” with Johny Depp and Diana Krall, and “The Express”, where you can hear him soloing during the dance scene at Syracuse University. 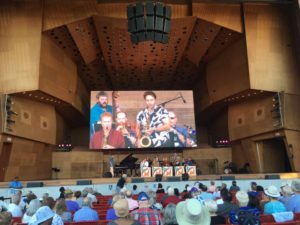 Anthony has maintained regular gigs with the finest big bands in Chicago including the Alan Gresik Swingshift Orchestra, playing every Thursday at the Green Mill, the Ian Torres Big Band, the John Burnett Orchestra, and The Model Citizens Big Band. 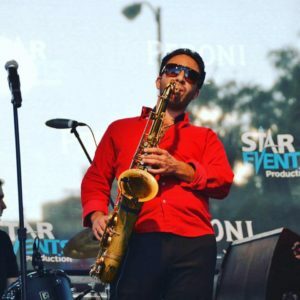 He is grateful for the opportunities he has had performing at exciting music festivals throughout the country such as Riot Fest, North Coast Music Festival, Umbrella Music Festival, Jazz Education Network Conference, Festival Cubano, and the Fox Jazz Festival. 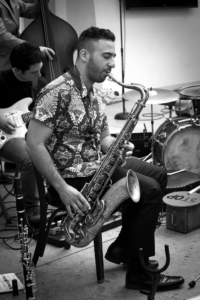 Anthony continues to play throughout the city and the country as a freelance saxophonist. His current projects include his neo soul/urban fusion band Vertikal. Anthony is recently involved in another new and exciting project known as Adolphe’S Ax led by Cameron Pfiffner. We will be playing shows throughout Chicago and later the world. Charles Mantis featuring Starshipbruno as well as TAL sounds are both two electronic music collaborations that afford Anthony great musical exploration. The track Run is a collaboration with Charles Mantis and Still Life is performed with TAL. Anthony serves as the Director of Jazz Studies at the Chicago High School for the Arts, where he directs combos and teaches saxophone technique. He has taken the ChiArts Honors Jazz Combo to the Jazz Education Network (JEN) Conference in Atalanta in 2013 and also took the combo on a tour, in conjunction with the Thelonious Monk Institute of Jazz, to Austin and San Antonio, Texas in March of 2014. The combo will travel once more to San Diego, California to perform at the 2015 JEN Conference. He also teaches a course, a favorite of his, Professional Development, where he helps high school students make positive college, life, and profession choices. Anthony is adjunct faculty at DePaul University teaching Woodwind Technique in the Music Education department and a member of JEN the Jazz Education Network. Anthony’s most current project features himself on bass and saxophone as well as Gerald Bailey on trumpet, synth, keys, and beats, and David Agee on drums. They recorded a live record at The Whistler in Chicago on July 13th, 2016. The record will be released in fall of 2016. What is 98 − 89? The track Run is a collaboration with Charles Mantis and Still Life is performed with TAL.